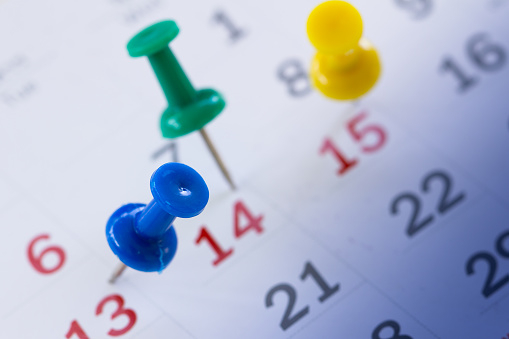 A new study published in PLOS ONE explores how people’s cognitive depictions of weekdays are constructed and what effect it has on their perception of time—in particular remembering what day of the week it is. The study aimed to shed light on a possible link between the seven-day weekly cycle and basic cognition; they accomplished this by characterizing mental representation of the weekdays. There were fewer representations for the other weekdays, which indicated to researchers that they carried less meaning and made them harder to remember. Researchers tested participants on how quickly they could correctly state what day it was. The results showed that participants could correctly indicate when it was Monday or Friday twice as fast as they could identify a Wednesday. Furthermore, when people got the day of the week confused with another, it usually occurred in the middle of the week. Dr. David Ellis, the study’s lead researcher, suggests that a weekday may not be remembered based on where it falls on the seven-day cycle, but where it falls in relation to the weekend. Ellis, D. A., et al., “Mental representations of weekdays,” PLOS ONE, doi: 10.1371/journal.pone.0134555, published online August 19, 2015, http://journals.plos.org/plosone/article?id=10.1371/journal.pone.0134555. McIntosh, J., “‘What day is it today?’ Study explains why it can be hard to keep track,” Medical News Today web site, August 24, 2015; http://www.medicalnewstoday.com/articles/298487.php.